It’s official — school’s out for the summer! And lucky for us, we get to spend it in Omaha, one of the best places to live in the US and one of the ten best cities to raise a family. If you haven’t guessed yet, that means the kids are in for one unforgettable summer. Not only is Omaha home to a few of the best attractions in the country, we also have a few first’s in Nebraska — including the state’s only roller coaster! Whether you need a place for the kids to play while you’re at work or you’re looking for adventures the whole family can enjoy, check out our kids’ guide to summer. Let us know what you love, what you’ve tried and what your kids can’t wait to dive into! You can’t talk about kid-friendly activities in Omaha without mentioning Omaha’s Henry Doorly Zoo and Aquarium. 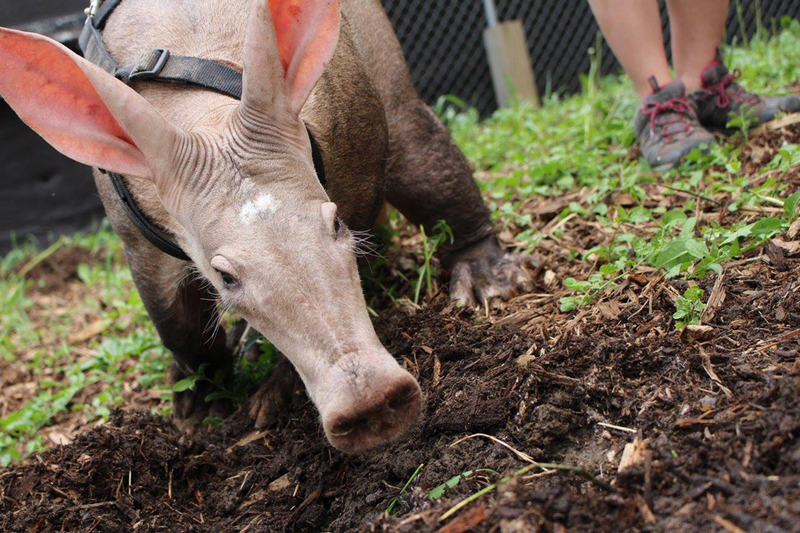 The huge facility is consistently ranked among the best zoos in the world and there are plenty of reasons. They have thousands of animals from around the globe as well as 130 acres of exhibits and gardens including 7 acres of indoor exhibits when you need a break from the heat. Hop on the Skyfari to take a tour of the zoo from above! To get out of the sun for an hour, take a group to The Escape Omaha, a live action puzzle that challenges everyone to work as a team and get out in time. With anywhere from two to seven people, you can test your prowess in The Lost Antidote, Area 405, The Conquered Embassy or The Uptown Murder. If you’ve tried them all at The Escape Omaha, try out Entrap Games. They have seven story lines to choose from! Fun-Plex is one of the best parks in Omaha — complete with waterpark attractions, rides, and mini golf. As the summer sun arrives in the Midwest, run through Makana Splash, lounge in the Lazzzy River and dive into the Motion Ocean! Parents can also enjoy Nebraska’s only swim-up bar. 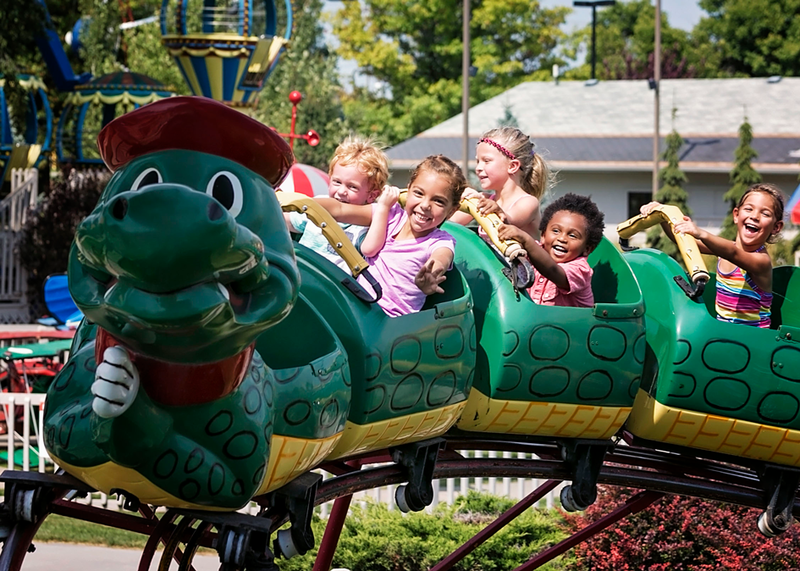 After you’re done in the water, you can experience Nebraska’s only roller coaster, race in one of four car and boat driving attractions, hop on the classic ferris wheel or explore Kiddie Land. You’ll want to come back more than once this summer to try it all! From May 30th through Labor Day, Omaha’s nine spraygrounds are open for business! These free, mini water parks include spray features, fountains and more so everyone can stay cool under the sun. All ages are welcome to join in the fun, but parents can also sit on benches or under shade canopies while the kids play. Check out the City of Omaha Parks guide to find out what each park includes and how to get there. After spending all day in the sun, you’ll want to hit the town with the whole family. Check out our blog post, 7 Family Night Out Activities in the Omaha Area, to find ideas everyone will love. 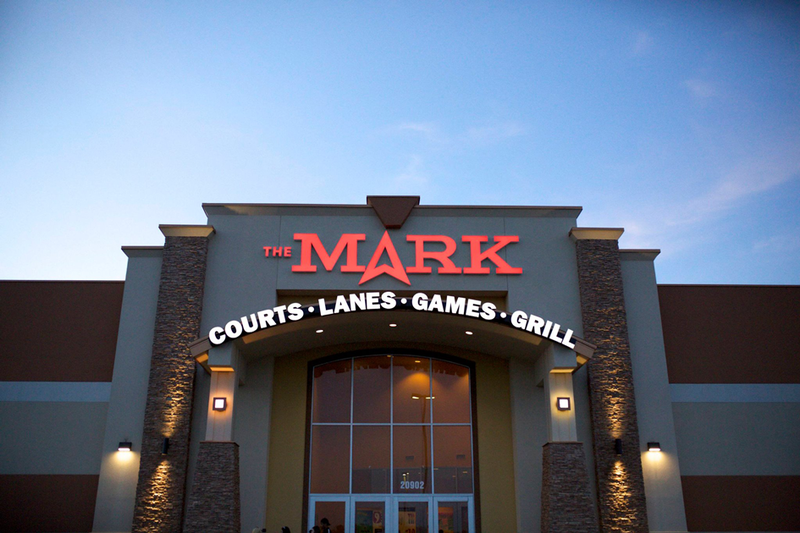 It includes information about a few of our Omaha favorites — including The Amazing Pizza Machine, CoCo Key Resort, Defy Gravity, Family Fun Center XL, The Mark and more! The Omaha area offers summer day camps in veterinary activities, sports, writing, theater and more. Our guide to the best camps in the region includes 20 options for kids of all ages — including Camp Legacy. Not only is this camp a 2017 winner in Omaha Magazine’s Best of Omaha, they also keep enrollment open all summer so your kids can jump in at any time during the season. Summer is a great time for movie-lovers. Hollywood blockbusters and kid-friendly favorites are hitting the big screen all season. At La Vista’s Alamo Drafthouse Cinema, you’ll be able to see old classics or brand new family comedies and get full meals and beverages delivered to your seats! Favorites include the “Royale with Cheese” Burger, Omnivore Pizza and, of course, fresh, warm chocolate chip cookies! The Omaha area’s newest summer attraction is Falconwood Park where you can grab a seat (or a parking spot) outdoors and watch a movie at the drive-in. This year’s lineup includes family films like Moana, The Goonies, Lego Batman, The Princess Bride and Harry Potter and the Sorcerer’s Stone as well as movies for an older crowd — including Dumb and Dumber, Dazed and Confused and Independence Day. See the full lineup and reserve tickets in advance online! Last year, the drive-in sold out consistently. Omaha certainly doesn’t have a shortage of museums. The youngest kids in your group will enjoy Omaha Children’s Museum where they can learn, play music, build and play. Along with their exciting permanent exhibits, traveling exhibits this summer include Dinosaur Safari and Fairytale Land! At Joslyn Art Museum, admission is always free making it one of our favorite budget-friendly options for a cool day inside. Though people of all ages will be able to appreciate the art, the museum also offers specialized programs for kids — including Family Scavenger Hunts, Story Adventures and docent-led Stroller Tours. Strategic Air Command & Aerospace Museum is for any child, parent or individual who has ever dreamed of space. With exhibits on military operations, black holes, astronauts and veterans, there’s something inside to make everyone’s jaw drop! Arts and crafts are classic summer activities. Not only does it give the kids something to do during the day, it engages their brains and you can take home a brand new creation! At That Pottery Place in Omaha, kids and parents can paint and take home individualized keepsakes. From piggy banks to figurines, dog bowls to dinnerware they offer hundreds of pieces just waiting to be turned into art. The Makery is one of the newest additions to the craft scene in Omaha. 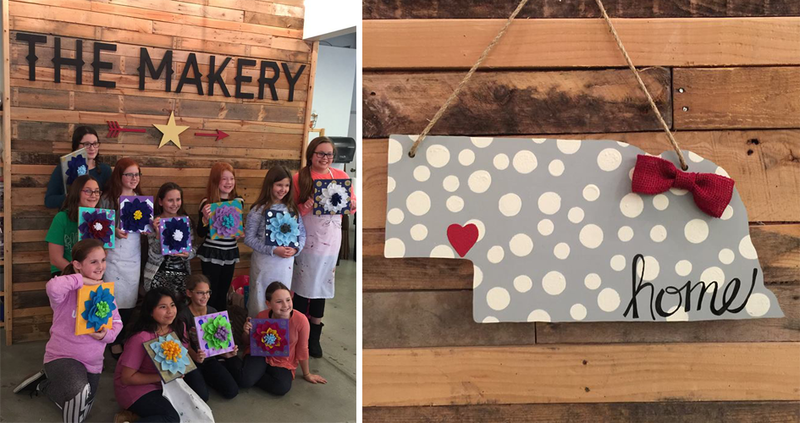 Here, kids and adults of all ages can learn new crafts, create one-of-a-kind pieces and even host their own, fun party. The Makery provides the materials, guidance and clean-up so you can have a stress-free, creative experience. The summer calendar includes succulent planting, string art and more! Some of Omaha’s best festivals happen during the summer and many of them are kid-friendly! Check out our round-up of the 17 best and mark your calendars. Your children will especially love Railroad Days set for July 15th and 16th; for just $15, your entire family can celebrate all things trains and track! Then follow it up with the Sweet Corn Festival in August, a food-themed celebration of Nebraska’s agricultural jewel. Omaha isn’t the only place celebrating summer with exciting events. Check out our Lincoln summer event guide and head to the city to experience some of the region’s highly anticipated festivals! 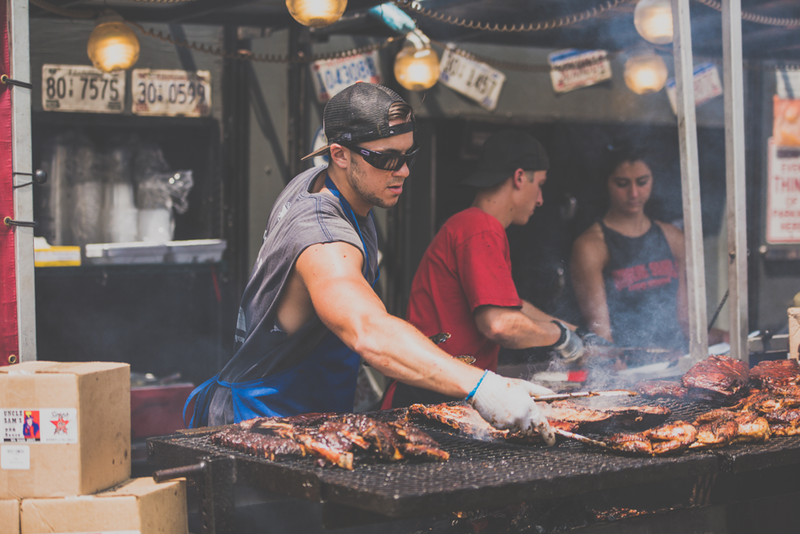 Exercise your brains at the Nebraska Book Festival in July then exercise your bellies at Capital City Ribfest in August! Lincoln and Omaha are situated almost perfectly in the middle of the country which gives us access to some of the most exciting tourist destinations in the US! We have two guides, whether you’re leaving from Omaha or Lincoln that will start your journeys off right. Learn all about your destination before you even arrive — including what to see and where to eat, drink and play! We all love swimming, spraygrounds, zoos and camps, but the best part about summer is ice cream. First things first, check out The Best Local Ice Cream Shops in Omaha and Council Bluffs then see how many your family can try this season! And don’t forget to stop by Omaha’s newest ice cream destination, Coneflower Creamery. 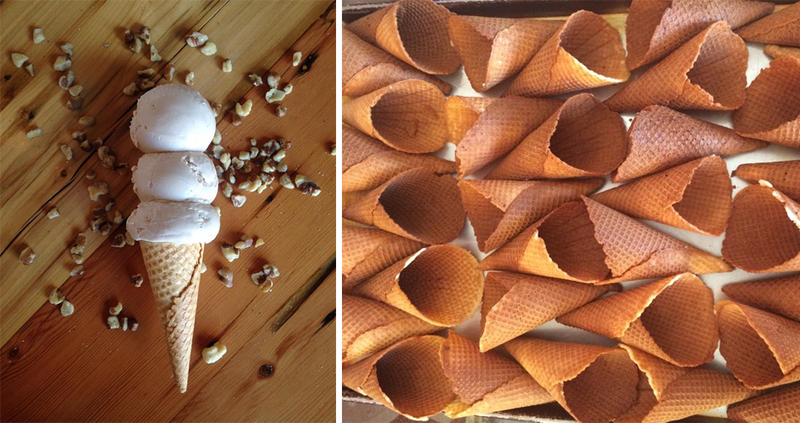 In true farm to cone fashion, their ice creams, waffle cones and even the sprinkles are made in-house with local ingredients. Because of sustainable sourcing, their flavors change with the seasons so stop in for a taste of summer or grab a year-round classic like the Blackstone Butter Brickle! It’s not summer if you haven’t spent a day in the water. Whether you’re looking for a nearby lake, a community pool or a water park filled with activities, our round-up of Omaha’s best swimming holes has something for every day of the season. With an interactive map, you can even find the pool nearest you so the whole family can dive in at the last minute. Share your favorite family-friendly activities during the summer!